How long is your to-do list? Are there too many things for you to feel reasonably calm about completing them? (Oh, I hear you). 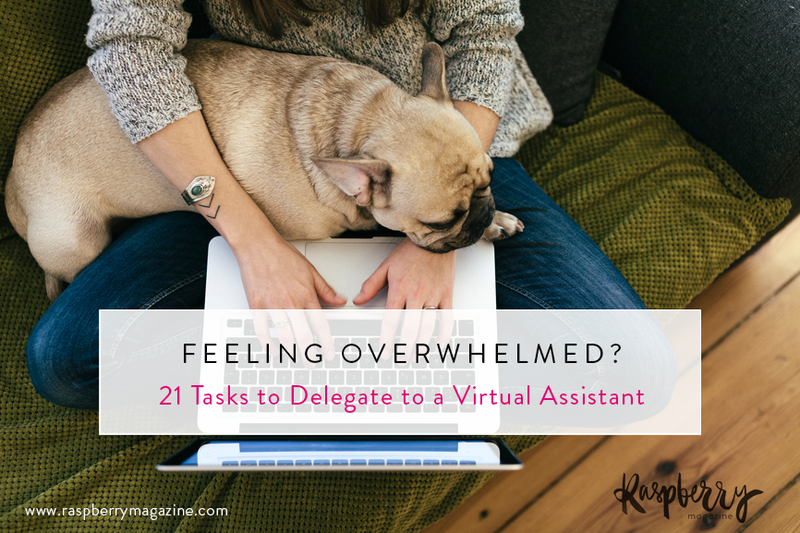 It might be time to start delegating some tasks to a virtual assistant (VA). If you're anything like me, a solo business lady wearing a million hats, the thought of handing over the reigns feels impossible. After all, YOU are the cornerstone of your entire empire! That hesitation is completely understandable. However, the feeling of overwhelming responsibility and the weight of daily to-dos can hinder your ability to act as a CEO, and plan for the longer term growth of your business. You could be missing out on opportunities and revenue simply because you can't possibly take on one.more.task! Email management. (Hallelujah!) Especially customer service, sales, FAQs, interview requests etc. Pretty much anything that doesn't require your personal attention could be delegated. Let them be the inbox gatekeeper who screens out what you don't need to see. Proofreading - blog posts, eBooks, worksheets, sales page copy etc. Managing online forums such as Facebook groups, to accept new people and keep an eye on things. Scheduling blog posts and newsletter mail-outs. Keeping track of numbers - sales figures, site analytics, social media growth. Research or gathering data on a topic or idea. Transcribing audio or video recordings. Updating content in membership sites, eCourses or on your website. Technical tweaks - site backups, software updates. Scheduling meetings and calendar management. Following up on leads for new clients or accounts. Manage website sponsors or advertising. Preparation for a launch - planning the timeline, creating and scheduling the campaign. Have you got a VA? Would you consider hiring one? And what's the one task you can't wait to delegate?